Greetings from the Maldives! 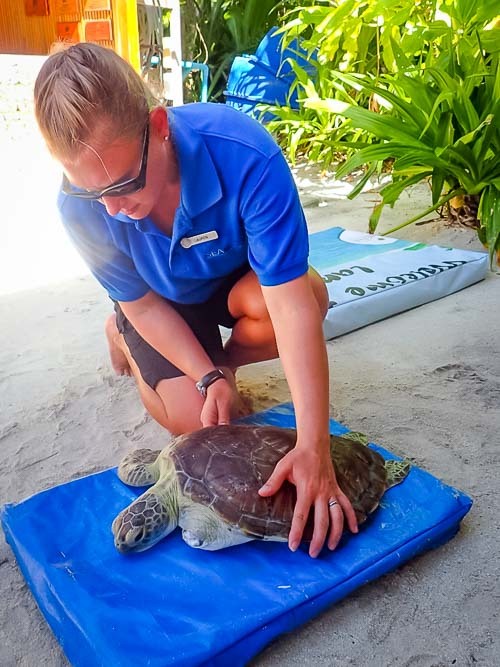 My name is Lauren, and I have spent the past four wonderful weeks volunteering here in the Maldives with the Seamarc team based at the Four Seasons Resort on the island of Landaa Giraavaru. 0815: Ferry commute from local island of Kamadhoo. 0835-0900: Breakfast at the canteen. 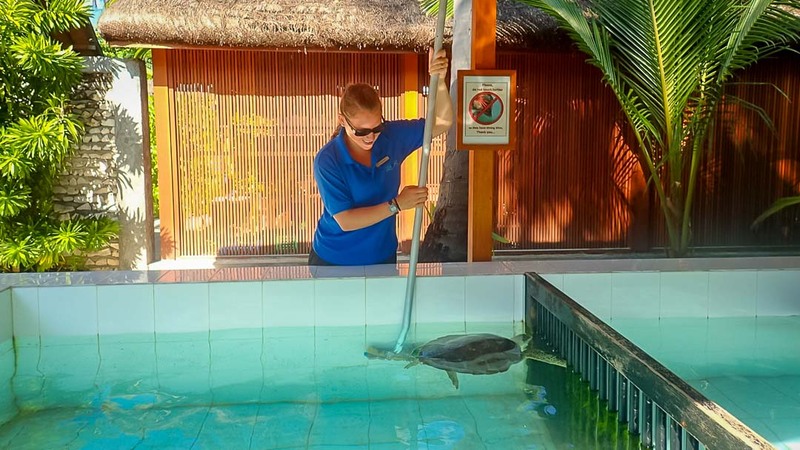 0900-1000: Turtle feeding and pool cleaning. 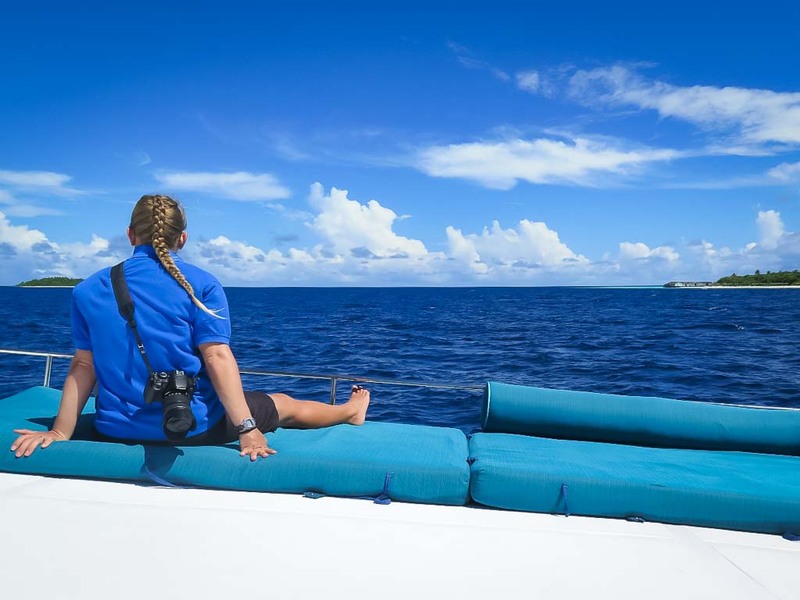 1000-1200: Guest excursion such as a snorkel trip to a nearby reef or a dolphin cruise, or assist the Coral Biologist with coral propagation. 1200-1400: Lunch break, followed by a snorkel on the house reef and fish ID/turtle knowledge practice. 1400-1630: Guest snorkel excursion or coral duties. 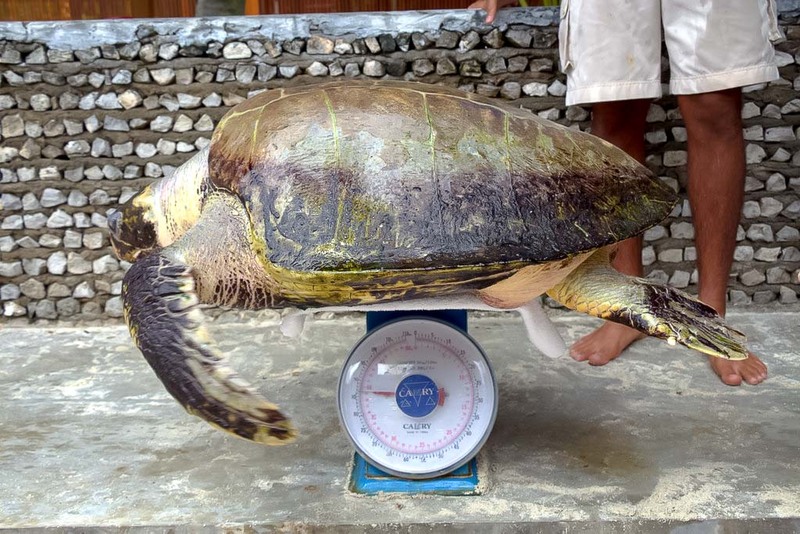 1630: Pick up fish scraps from the kitchen and weigh it out as turtle food. 1730: Feed fish scraps to fish at the end of the jetty with the Resort Kids Club. 1800: Dinner, followed by fish ID or a night snorkel. 1900 or 2015: Ferry commute back to Kamadhoo. 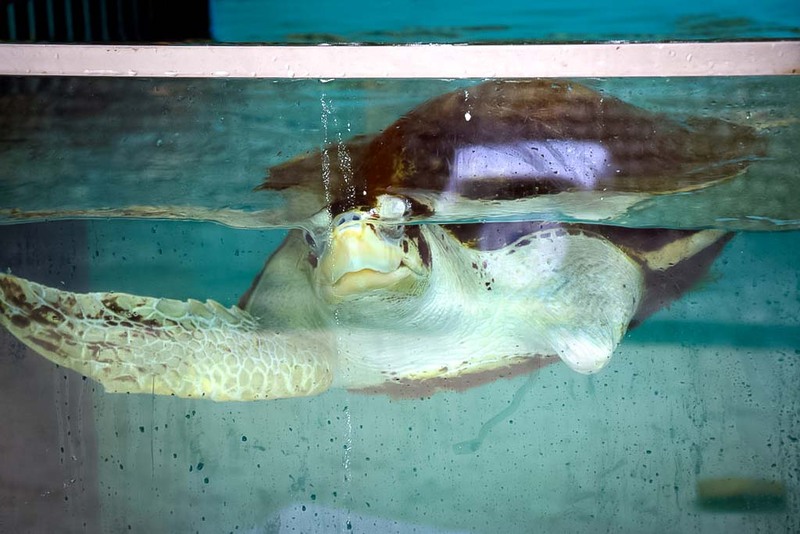 Behind the main Marine Discovery Centre are the turtle rehabilitation pools, currently housing seven injured sea turtles in recovery. Six of them are missing at least one flipper, most likely due to ghost net entanglement. 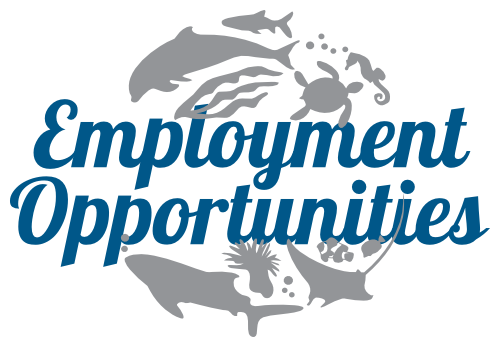 Ghost nets are any derelict fishing gear that still attracts fish even though no one is operating it. Turtles are attracted to the potential food source, and can become easily entangled in the net filaments. 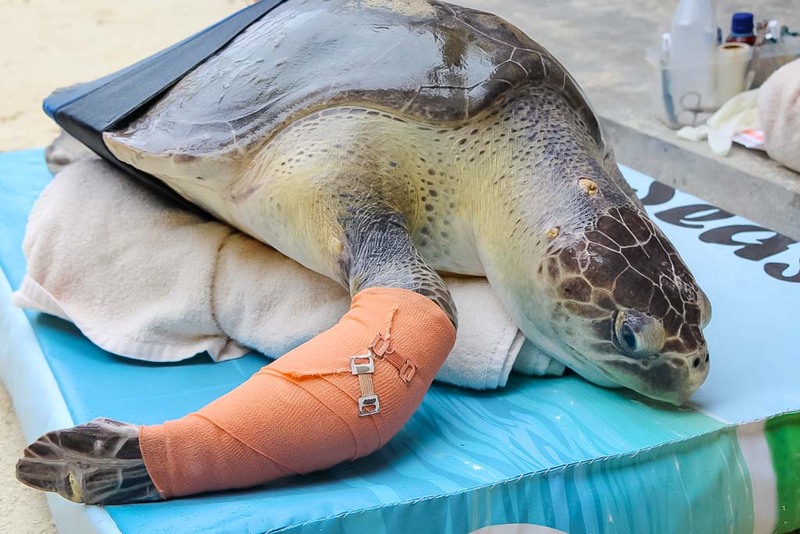 If a turtle flipper becomes caught, the blood circulation can get cut off, causing the tissue to die and the limb to fall off. One turtle, Elsa, is a double amputee and has her two front flippers missing. 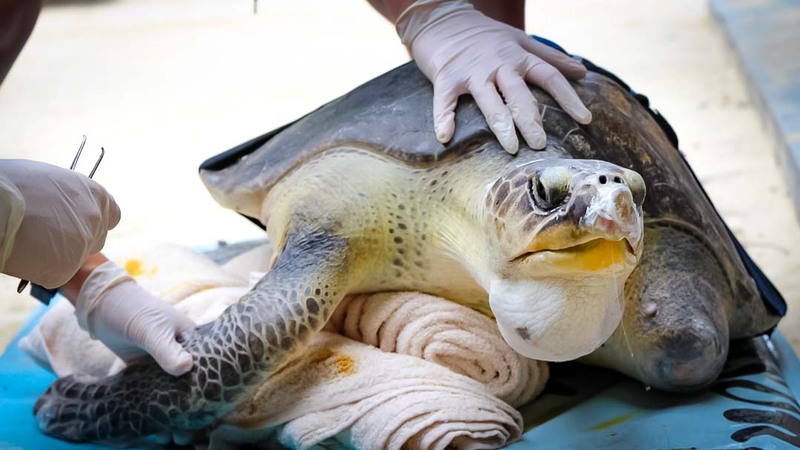 All of the turtles here, except Elsa, have “floating syndrome.” This can be caused by air trapped in their gut by ingesting plastic and impeding digestion, or air trapped beneath their shell by means of a tear in their oesophagus or lungs. This tear can happen after struggling from a traumatic event such as a shark attack or being stuck in a net. It can also be caused by pneumonia or infection in the lungs. Either way, the turtle becomes positively buoyant and is unable to dive for food. Unfortunately, an x-ray machine is needed to properly diagnose their floating syndrome (trapped air or ingested trash) and there isn’t one within a reasonable distance from Landaa Giraavaru. 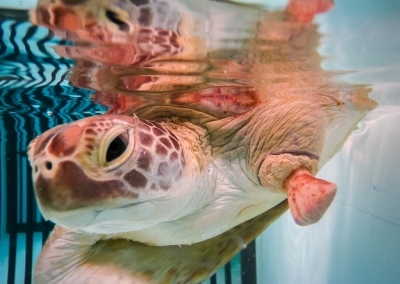 This floating syndrome is an international problem for sea turtles. 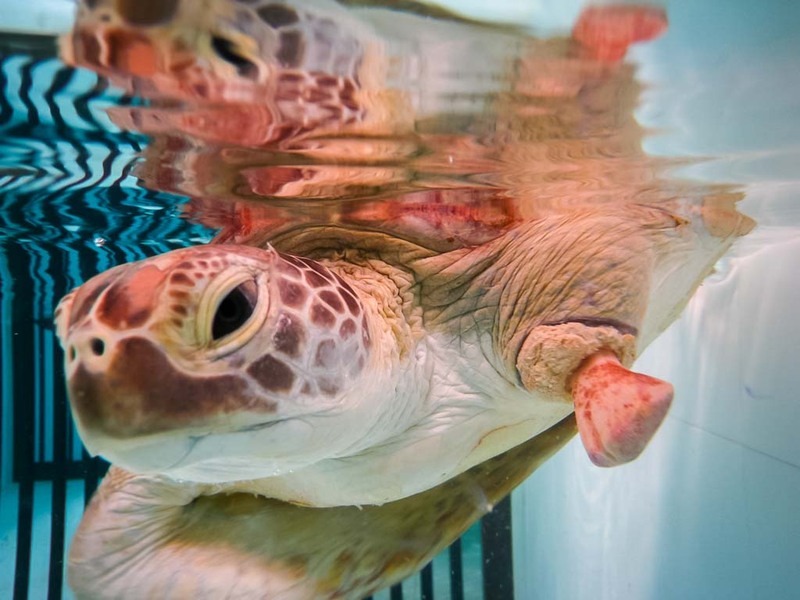 Since Elsa is the only sea turtle here that can dive, the MDC is in the process of contacting various overseas aquarium organisations to see if they can give her a better home. Most turtles can survive in the wild only missing one flipper, but missing two flippers, it is unlikely she will be able to swim fast enough to evade predators. Six of the seven turtles here are Olive Ridley turtles, and there is one Green sea turtle. Every morning after breakfast we start the turtle feeding and tank cleaning. Using weighing scales, a cutting board, tongs, a large knife and plastic containers, we weigh out and cut up the fish. The turtles are fed a specific portion size based on their body weight, and larger portions if they need to gain weight. All turtles are fed in the evening, but only the 5 larger ones are also fed in the morning. It has taken me a while to remember all the turtles’ eating preferences: some turtles can’t have fish bones and skin due to cloaca prolapse issues, some won’t eat squid, one needs tiny pieces… picky eaters! We drag the food in the water to encourage swimming activity. We also try to drag the food underwater to encourage diving. Zahiya is mostly blind, so to feed her we place the fish in front of her mouth. She is normally the slowest to eat and seems to lack enthusiasm. Ossy on the other hand is splashing about in her pool while being fed, or literally trying to climb out of her pool when she sees people because she wants to be fed! She is one of my favourites to feed—she enjoys food just as much as I do! 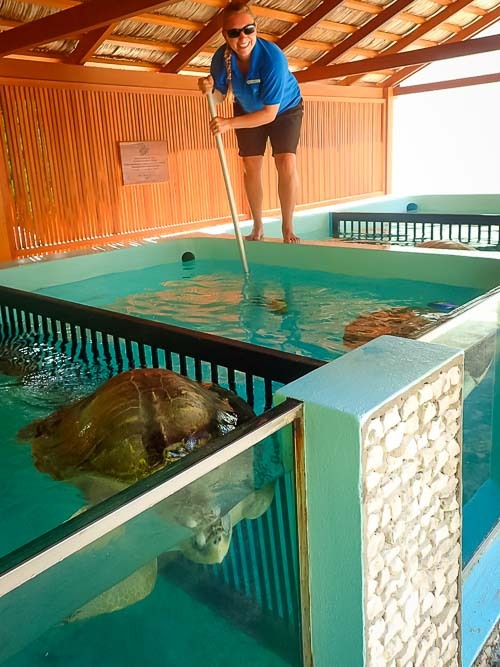 Feeding turtles was a first-time experience for me, and another first was cleaning the turtle pools. There are scrubbing brushes attached to long metal poles that are used to clean the sides and bottoms of the pools to remove any algae. After the turtles are fed, we go around with nets attached to poles to remove any fish that was dropped. I was also taught how to use the pool vacuum to pick up sand, remaining fish pieces and a lot of fish bones. The pools are also often completely drained and bleached to completely remove all traces of algae. While they look satisfyingly clean afterward, it was not my favourite morning to be a volunteer! But as a keen enthusiast of opisthobranchs (marine gastropods), it was fun to see all the sea hares that came out of hiding once the water was drained. La Petite, one of our rescue turtles, had a damaged flipper and shell when she was admitted to the Centre, so once a week I helped to dress the wounds. We first poured a saline solution onto the wound to clean it, then iodine to disinfect it, and then used small scissors to cut off excess dead skin on her flippers. Before she is returned to the tank, a cream is put on her wounds to treat and prevent infection. It has been very rewarding to see her progress during my four weeks here. Whilst most of the Seamarc marine biology volunteers are satisfied with caring for the sea turtles due to their aesthetic appeal, my heart belongs to the invertebrate community. Thus, I focused the majority of my time shadowing the coral biologist and learning all about the Reefscapers coral propagation programme. 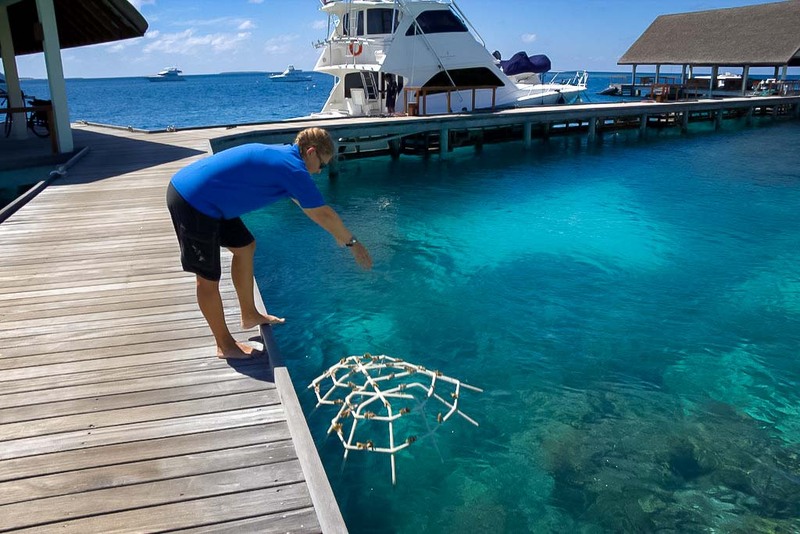 Landaa currently has over 2,700 coral frames around the resort, and the coral biologist has her work cut out! All the frames have to be monitored and inspected for disease and bleaching to ensure they are in good health. During my first week here, I helped to re-transplant coral fragments underwater at one of the sites before monitoring pictures were taken. This is done on frames that have dead or missing fragments, possibly due to coral bleaching or fish predation. 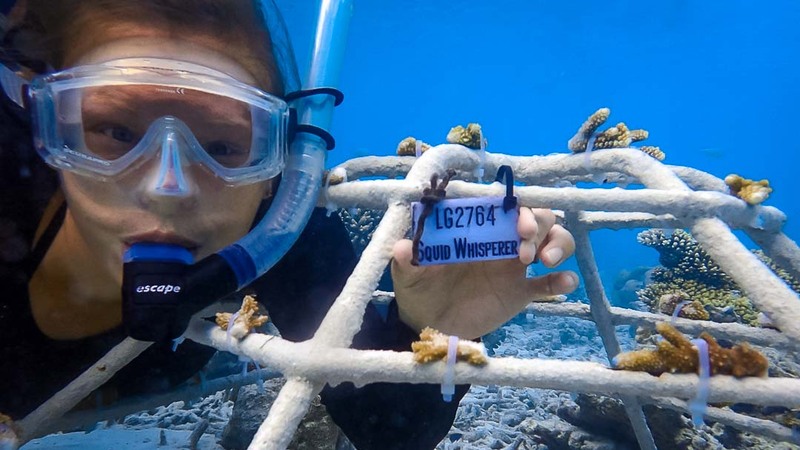 The monitoring photographs are taken every 6 months and uploaded to the Marine Savers website, giving sponsors the opportunity to see how much their coral frames have grown. We consistently built 5-10 frames per week with guests, and I’ve been involved in every step of the process. I was taught how to select specific digitate coral fragments from healthy colonies on the reef, which were then attached to frames with cable ties. Since we don’t decimate the entire coral head, the coral is still able to survive. Taking coral from different colonies also helps promote genetic variation around the reef. The frames we use are made of iron welded into 4 different sizes, and coated with marine resin and sand. 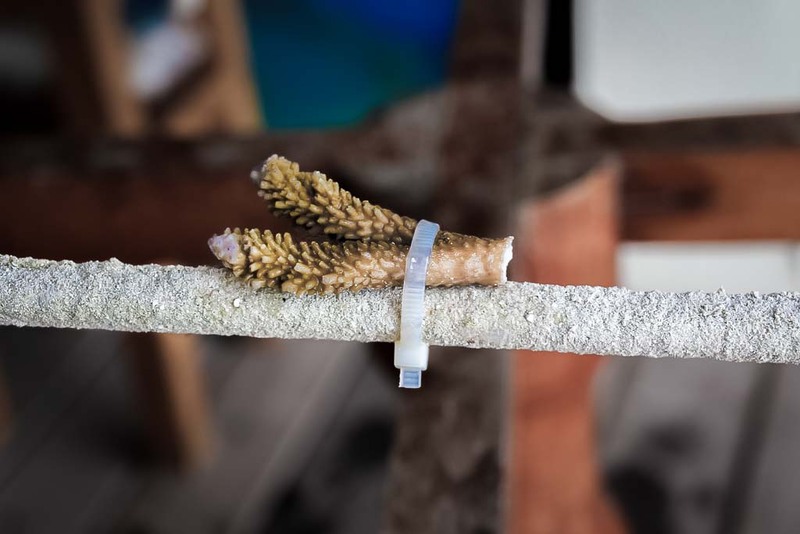 As guests sponsor the frames, we help them to securely attach the coral fragments, whilst discussing the Reefscapers programme and the importance of preserving the coral reef ecosystem. 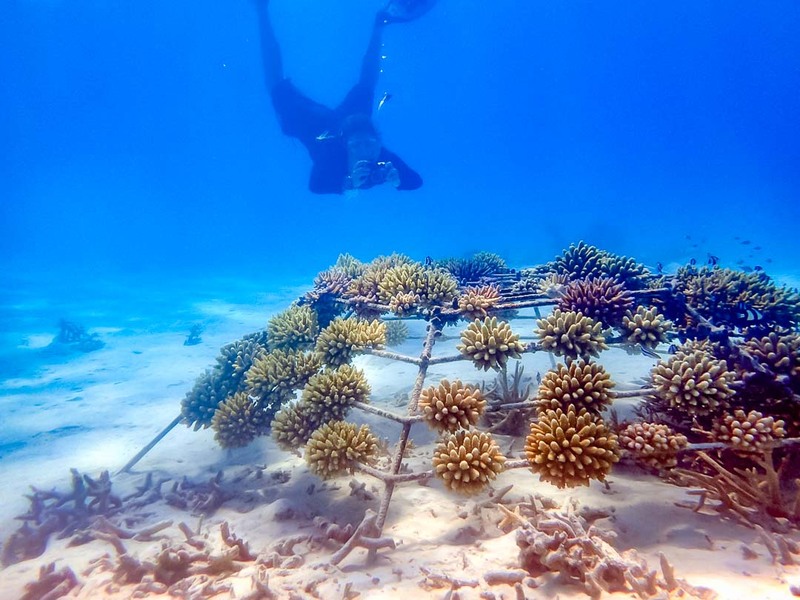 Continuing my coral duties throughout the month, I frequently helped relocate the freshly built coral frames from the jetty at the Centre (where they are initially placed) to various sites around the island. Since we are moving the frames whilst snorkelling in deep water, the technique involves holding your breath and undulating your body in order to move the frames. It’s definitely an interesting technique to master! Once in shallow water, we lift the frame overhead for loading onto the small boat. We can do that for the small, medium, and heart-shaped coral frames. For the larger ones, one person has to try to move it underwater then two people have to carry it out of the water. These large frames are meticulously placed onto the front of the boat during transit, since they are too large to actually fit inside the boat. It is definitely an energetic work out! Whilst helping the coral team, I did miss out on some of the guest snorkel excursions, but it was well worth it and I thoroughly enjoyed focusing my time on the coral propagation project. 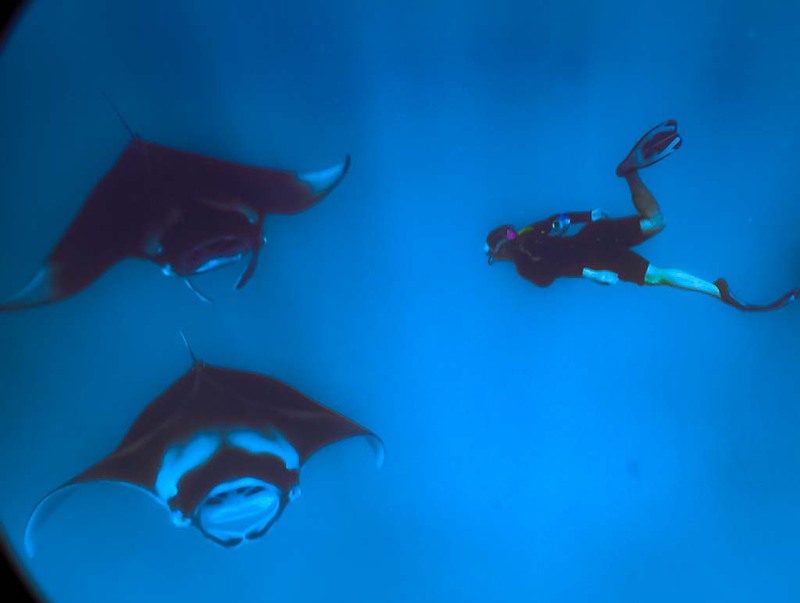 During my month-long stay, I was also able to attend a guest excursion to see the manta rays feeding in Hanifaru Bay. For me, it was a once-in-a-lifetime experience! 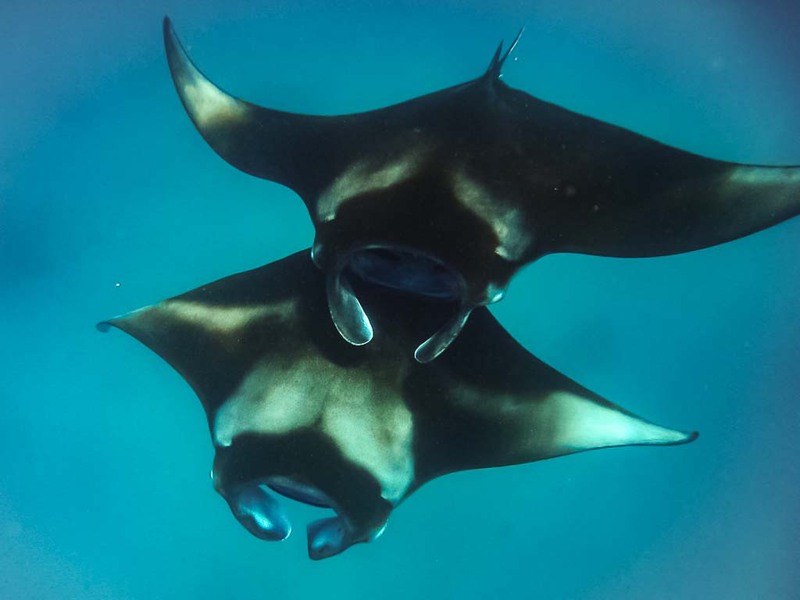 Hanifaru Bay is a Marine Protected Area (MPA) about the size of a football field, famous for hosting the largest gathering of mantas in the world. 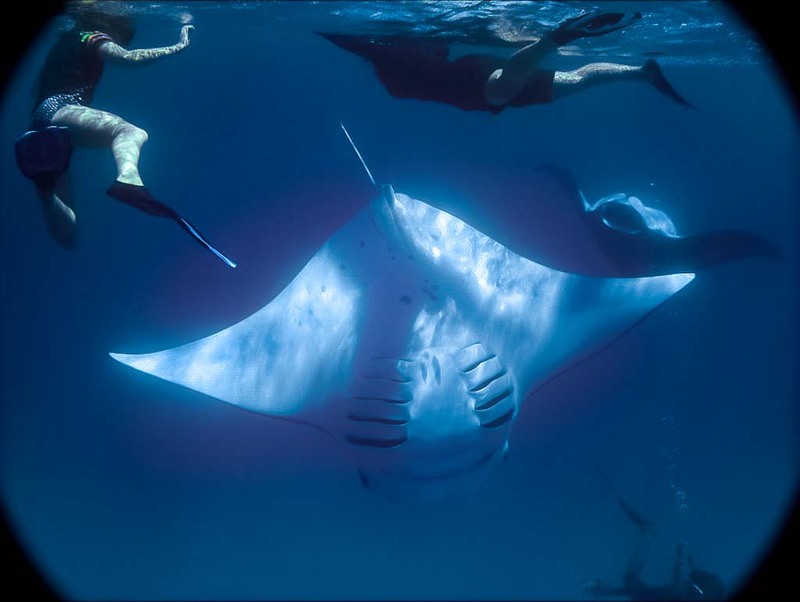 The Maldives has an estimated population of 5000 to 6000 manta rays, which is the largest population in the world, and in optimal conditions hundreds of mantas can be seen feeding simultaneously in Hanifaru Bay… plus even a few whale sharks! 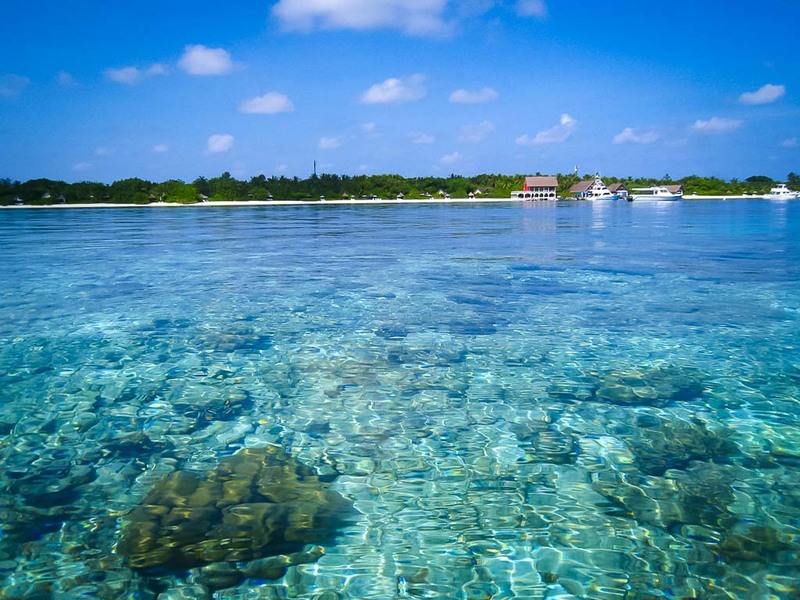 Hanifaru Bay is a funnel-shaped lagoon, with only one entrance/exit channel to the ocean. The plankton are carried into the bay with the South-West monsoon currents that occur from May to October. Once the wind changes and the currents shift, the mantas change course to follow the plankton. 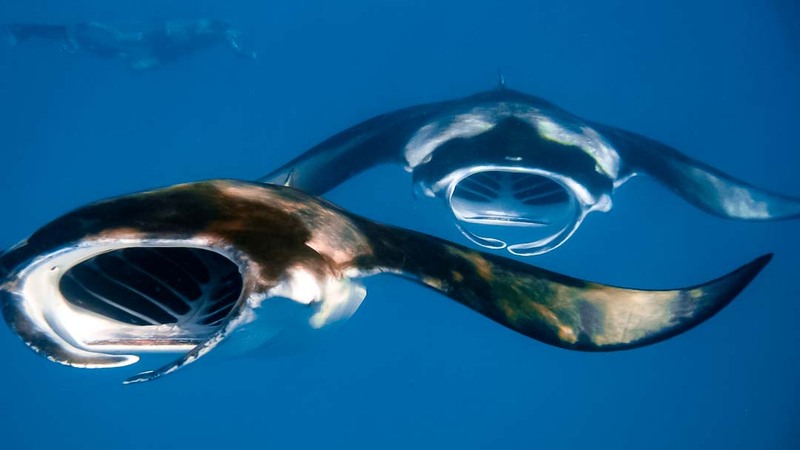 Thus, manta season here typically ends around the beginning of December, as November is a transitional month. 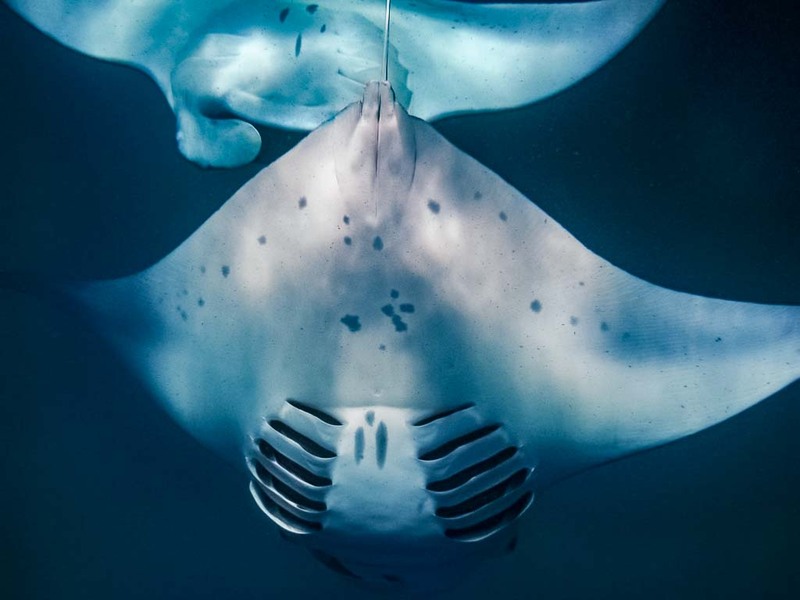 As a Marine Protected Area, a permit is required to enter, and visitor numbers are carefully monitored and controlled by the patrolling rangers, so as not to disturb the natural feeding habits of the mantas. When I went with the guest excursion, we were able to see 20-25 mantas feeding in the lagoon, with the largest female having a wingspan of about 11.5 feet. The plankton were very high in the water column, so the mantas were feeding close to the surface. It was such a surreal experience, with mantas swimming gracefully towards you from every direction, mouths gaping open, like a manta conveyor belt! 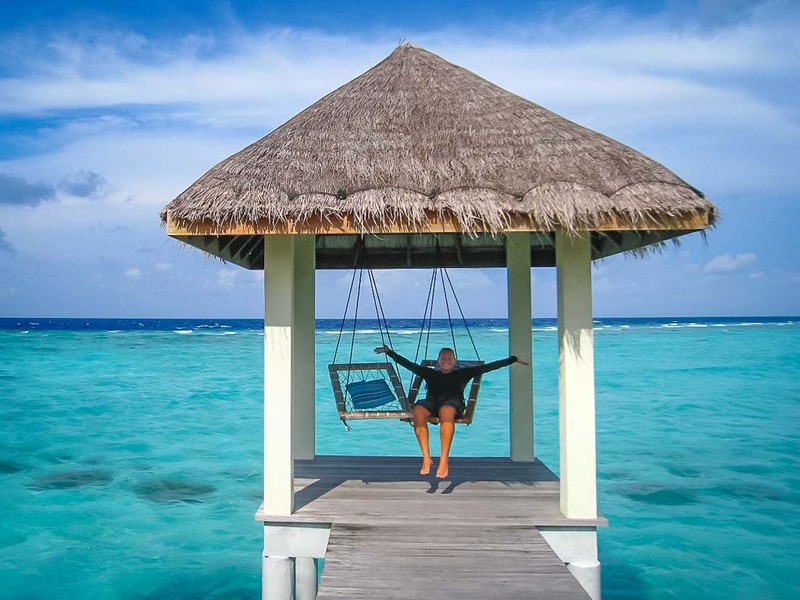 It was absolutely incredible… definitely one of the most memorable days I spent in the Maldives! My four weeks volunteering with Seamarc went by way too fast! After living in Hawaii for five years and spending two months in French Polynesia, it has been nerdishly neat for me to be able to compare the three coral reef ecosystems. 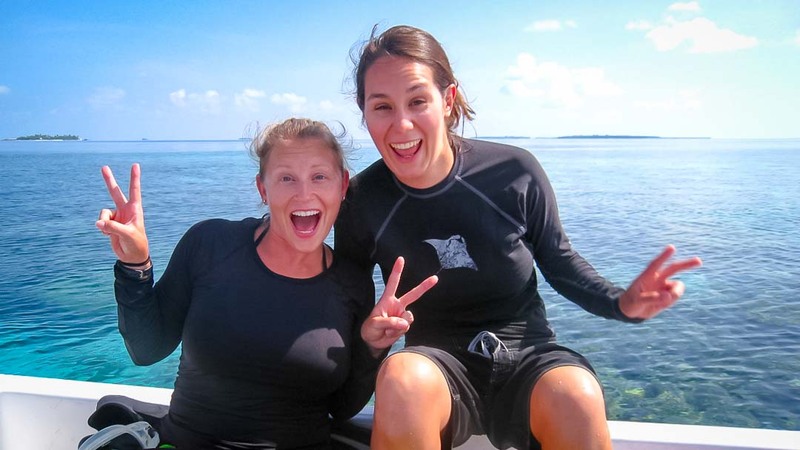 I learned a lot about Maldivian life, above and below the waves; I now know so much about sea turtles, and have developed a taste for dolphin-shaped oatmeal cookies! 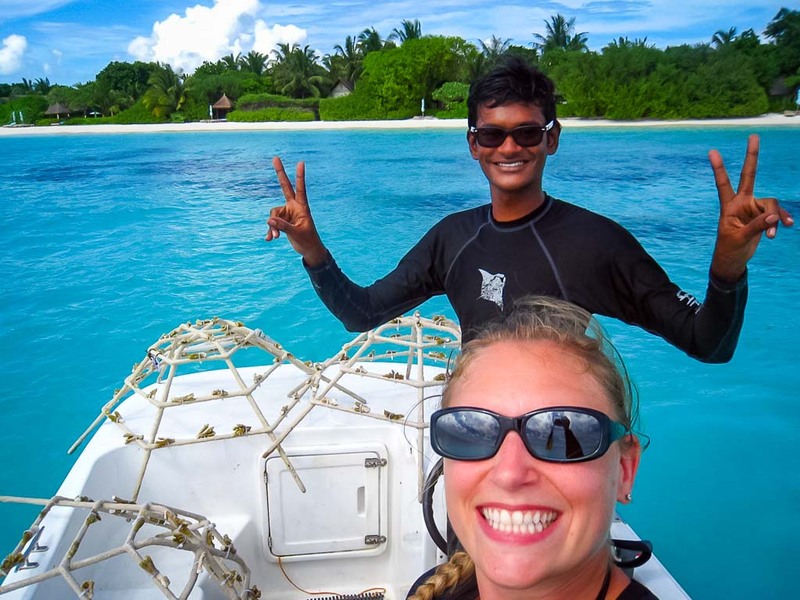 So if you ever have some free time, I highly recommend being an Eco-Volunteer with Seamarc at Four Seasons Resort Maldives — it will be a decision you won’t regret, and provide you with memories to cherish throughout your lifetime!